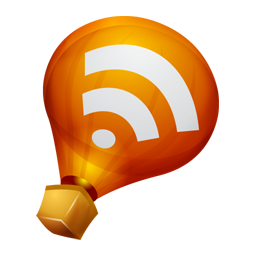 For Weekly Geeks #16, Dewey asked us to pair up with another blogger, interview each other about a book we've read recently or an old favourite, and then post both interviews together. My partner is Becky. She interviewed me about Tell my Horse by Zora Neale Hurston, and I interviewed her about The Devouring: Sorry Night by Simon Holt - both unsettling books, but in very different ways. I read a plot summary of this book that mentioned a girl discovering an old journal. This put me in mind of the book I'm currently reading, The Historian. What did you think of this particular plot element? Did it work well in the story? It worked very well. The story is narrated by a teen girl, Regina "Reggie" Halloway. She works at a local horror bookshop--and she "discovers" the journal when she's unpacking boxes of books. It's one-of-a-kind. A hand-written journal. And it's something she sneaks home with. She begins reading--and she thinks it's chilling but delightfully so. She begins reading it aloud to her younger brother as a bed time story, and that is when this story takes on a life of its own. Bury your fears on Sorry Night. Comes the feasting of the Vours. Your body's here but not your soul..."
How would you describe this book's atmosphere? Is there anything you'd compare it to? The atmosphere is dark and spooky. I haven't read much horror--though I've read The Historian and Dracula last year--so I don't have a direct comparison. But it's good. Very good. What did you think of the characters? Were they believable and full-fleshed? Mostly. I'd be lying if I said the book was perfect. I think the characters are well done enough that you're willing to go along with the book because it hooks you. Regina and her brother Henry. Reggie's best friend, Aaron. But some of the other characters--the father, the crush, the bookshop owner, are not as well fleshed as the others. It helps to know that this is the first in a series, I believe. I read that somewhere this past weekend. I just can't remember where. I hope there are more books. I bet those characters--minus the crush--become more developed and more integral to the story. Is this one of those books that are actually scary, or is it more the atmospheric and vaguely unsettling kind? And if you did find it scary, why? This is very subjective. I know some people get spooked easily, and others it really takes quite a lot to manipulate them into being scared. It was definitely unsettling, but I feel safe in saying that it will scare some readers. I found it scary--not in the hide under the covers or put the book in the freezer way--but scary enough that I wanted to get my mind safely onto another subject before bedtime. The book has a chilling premise. And the way this novel unfolds, it's very unnerving--to watch the characters realize what has happened and to try to fight back against the Vours. I find that I'm particularly picky with endings when it comes to horror stories. Did the ending of this one work for you? Was it satisfying? And if explaining without spoilers is possible, why or why not? Mostly. As I said, I think this is the first in a series. So not everything is resolved at the end. And in some ways, it leaves a lot of things unanswered. You're more curious at the end then in the beginning. In a way. But it's not a cliffhanger ending either. There's room for more, but you're not going to be screaming in frustration either. There's enough action this book merits readers spending their time on it. I just googled and found the sequel is coming out in May 2009. I'll definitely be seeking it out. How does this compare with other YA horror books you've read recently? I noticed you have quite a lot of them on your RIP list, so if you could recommend just a single one of the ones you've read so far, which one would it be? Thank you, Becky! I for one am extremely curious about The Devouring: Sorry Night. It sounds so deliciously creepy. Now here is Becky's interview with me about Tell my Horse. First, a bit of context: Originally published in 1937, Tell My Horse: Voodoo and Life in Haiti and Jamaica is Zora Neale Hurston’s report of her travels and research in those two countries. It’s a fascinating account of local history, customs, folklore, mythology, and of course, of voodoo practices. Why did you choose to pick up Tell My Horse? Is it for Carl's R.I.P. III challenge by any chance? One of my favourite short stories in Neil Gaiman’s Fragile Things is “Bitter Grounds”, a story about zombies and New Orleans, among other things. The story mentions this book at one point – quotes from it, actually – and that’s how I first heard of it. Then a long time passed and I sort of forgot about it. But just recently I was thinking that it was about time I read a book about Caribbean culture and folklore, a topic that fascinates me. So I went ahead and ordered it. I didn’t start reading it with R.I.P in mind, but now that you mention it, I think that it totally fits even though it’s non-fiction. Some chapters were quite chilling! Is this your first book by Zora Neale Hurston? Or is she a favorite author? Yep, it was my first. Will you be wanting to pick up another Hurston book at some point? A big yes! I just loved her writing. Her descriptions are so vivid. I remember that you and Chris reviewed Their Eyes Were Watching God earlier this year, and it sounds like something I’d really enjoy. I also really want to read Men and Mules, her book on African-American folklore. Is it a book you'd recommend to others? Who do you think would enjoy this book? I would definitely recommend it. I think that anyone interested in Caribbean culture and folklore, not to mention in Zombies, will absolutely love this book. But you really don’t need to be particularly into these topics to enjoy it. The book is so readable, so engaging, that I bet any random reader could easily be sucked in. It’s one of those books that entertain you, unsettle you, and also teach you a bunch of little things you never knew – about the history of Haiti, for example. What was your favorite aspect of the book? Least favorite? One of my favourite aspects was Zora Neale Hurston herself. You can feel her presence in the pages, and she sounds like such an assertive and strong and curious and intelligent woman. I love the fact that she describes what she sees without judgement, but also doesn’t refrain from speaking her mind about topics like male chauvinism, social inequality and poverty, corruption, etc. It was interesting to see her deconstruct common misconceptions about voodoo – the voodoo dolls, black magic kind of stuff. Instead, she portrays it as a social and cultural phenomenon that is an essential part of Haiti, and as a religion with African roots. I also loved her honesty. She doesn’t try to sound like she knows more than actually does. She doesn’t hide the fact that most people in Haiti were reluctant to talk about certain things, especially to a foreigner. So when she wasn’t able to find out much about a certain topic, she simply says so. Other favourite aspects include the description of a Jamaican funeral – it was fascinating stuff! According to their tradition, the ghost, or duppy, leaves the grave three days after the burial, and returns on the ninth day. So on that day they have a ceremony where people say goodbye to the deceased person, sing songs, and tell Anansi stories. There are also a number of precautions that are taken to ensure that the duppy does return to the grave after nine days and doesn’t become a dangerous wandering spirit. I also loved the descriptions of the different types of voodoo ceremonies, of the several gods or loas, etc. My least favourite thing? Well, the book isn’t very long and it covers a lot of ground, so sometimes it isn’t as detailed as I wanted it to be. It made me want to know more, which is of course a good thing. There is something else, but it’s not a flaw. Some of the descriptions of rituals that involve animal sacrifices are not for the faint of heart. Zora Neale Hurston is describing what she saw, so if she left these things out the book wouldn’t be a very good one. I’m glad she included them, but although she avoids being unnecessarily gory, some bits were hard to read. Any favorite passages you'd want to share? Every precaution for keeping duppies in graves must be taken. So as soon as the body was placed in the coffin, the pillow with the parched peas, corn and coffee beans sewed inside it was placed under his head. Then they took stronger methods. They took four short nails and drove one in each cuff of the shirt as close to the hands as possible to hold the hands firmly in place. The heel of each sock was nailed down in the same way. Now the duppy was ‘nailed hand and foot’. No one can stay in Haiti long without hearing Zombies mentioned in one way or another, and the fear of this thing and all that it means seeps over the country like a ground current of cold air. This fear is real and deep. Click here to read Becky's post. Fantastic interviews! I really enjoyed them both very much...and am definitely adding both books to the old wish list. I'm especially looking forward to Tell My Horse. I'm hoping to spend some time maybe next year learning about various religions with Annie. Of course, the major ones, but would really, really love to learn about others as well. This sounds like a perfect book for us to read! Thank you Nymeth and Becky! Both of these books sound excellent and what a fun idea to do interviews. An enjoyable post! This is a lovely read! Haven't read Fragile Things yet. And now I want me some NZH! Hahaha! Dewey: I'm glad you thought so :) She also wrote an autobiography, Dust Tracks on a Road, which sounds really interesting. Becky: It was fun :) And I think I'd be interested in a Zora Neale Hurston challenge, yes. I hope more people are. Debi: This book would be great because she'd no longer learn about religion, but about the history of Jamaica and Haiti, their culture and traditions, etc. It's such an interesting topic! Okay, maybe I'm biased :P But for me it really is. Cath, glad you liked it! Melody, I look forward to your interview. Heather, you might be interested in her autobiography, then, Dust Tracks on a Road. I haven't read it yet, but it sounds so interesting! 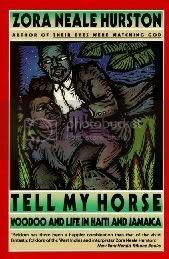 Tell My Horse was actually not as creepy as a book about voodoo and zombies might have been, though. There were creepy bits, but for the most part she approaches the topic in such a human way. It made me see voodoo in a completely new light. 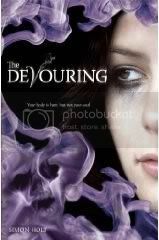 The Devouring does look really good and it's fun to be able to look forward to a sequel. Tell My Horse sounds interesting as well. Glad you both had fun with this mini challenge. Terrific interviews! I'm adding Tell My Horse to my wishlist, it sounds so interesting especially as you mention that it describes a Jamaican funeral. You can learn so much about a culture from studying both marriage and funeral traditions. Thanks, book zombie! I totally agree with you about marriages and funerals. I hope you enjoy the book! My TBR pile just keeps increasing. Not fair!